When a bank suffers a sudden rush of withdrawals by depositors, this is called a bank run. 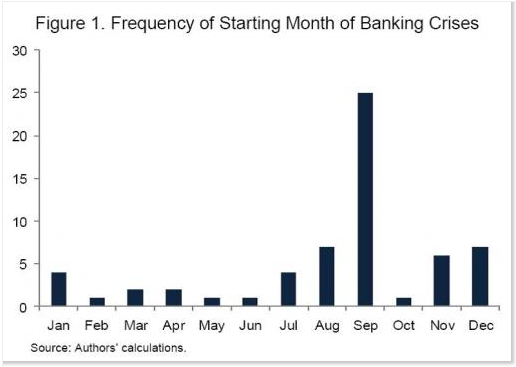 Since banks lend out most of the cash they receive in deposits (see fractional-reserve banking), it is difficult for them to quickly pay back all deposits if these are suddenly demanded, so a run may leave the bank in bankruptcy, causing many depositors to lose their savings unless they are covered by deposit insurance. 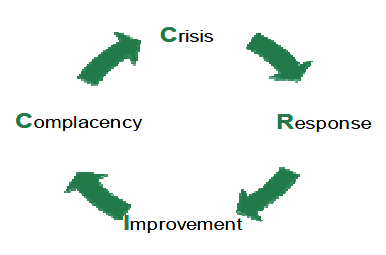 A situation in which bank runs are widespread is called a systemic banking crisis or just a banking panic. A situation without widespread bank runs, but in which banks are reluctant to lend, because they worry that they have insufficient funds available, is often called a credit crunch. In this way, the banks become an accelerator of a financial crisis. Examples of bank runs include the run on the Bank of the United States in 1931 and the run on Northern Rock in 2007. The collapse of Bear Stearns in 2008 has also sometimes been called a bank run, even though Bear Stearns was an investment bank rather than a commercial bank. 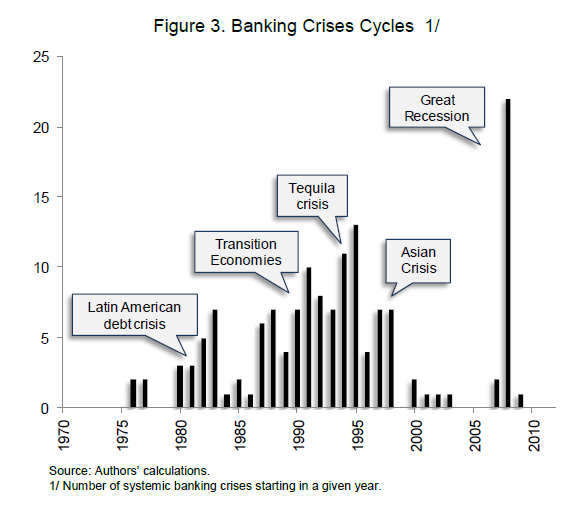 Banking crises generally occur after periods of risky lending and heightened loan defaults. The U.S. savings and loan crisis of the 1980s led to a credit crunch which is seen as a major factor in the U.S. recession of 1990–91. Do you know when is the most frequent month for bankruptcies?